A sun bedroom created at the Ella Rest House room balcony. 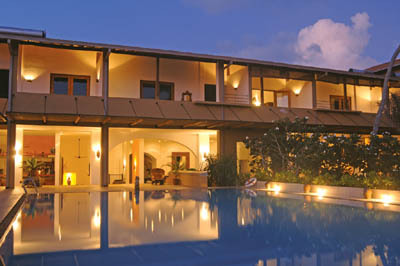 THE Ceylon Hotels Corporation will upgrade some of its rest houses to Four and Five Star class hotels while some other properties would be converted into boutique hotels. Dialog Telekom Ltd., released Thursday an overview of its Financial Performance for the six months ended 30 June 2006. Dialog Teleckom Ltd, post consolidation with subsidiary performance, recorded a profit after Tax of Rs. 4.99 b for the first-half of 2006. The Sri Lanka Rubber Products and Export Corporation has recorded Rs. 7 million in net profits during past six months. The Chairman of the Sri Lanka Rubber Products and Export Corporation R.B Herath said the corporation has been incurring losses since 2000 and it had been proposed to shut it down.